Argentum: Double-Positive, a new light sculpture by Jim Sanborn, is tested for the first time at University of Rochester's Memorial Art Gallery June 22, 2017. 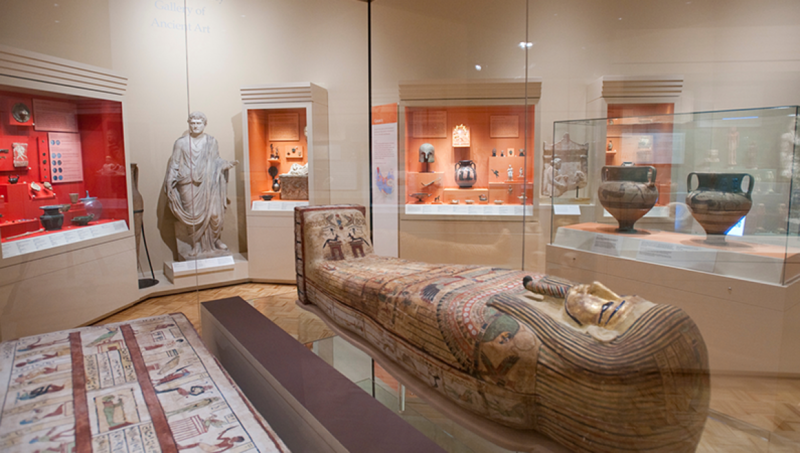 The Memorial Art Gallery of the University of Rochester presents a panorama of the world's art from over 5,000 years, from the relics of antiquity to works in the vanguard of contemporary movements. With the recent completion of Centennial Sculpture Park, the Gallery’s 14-acre campus is a spectacular urban space that is a destination for Rochesterians and visitors alike. The Gallery’s permanent collection of more than 12,000 objects has been called the best balanced in the state outside of metropolitan New York City. In addition to its collection, the Gallery offers a year-round schedule of temporary exhibitions, lectures, concerts, tours and family activities.